U.S. turntable market grows (in value if not in quality) | What Hi-Fi? 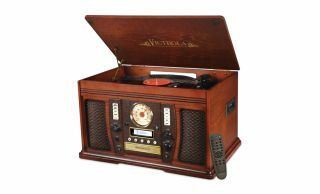 Innovative Technology Electronics Corp, the Port Washington-based owners of the historic Victrola brand, is the top seller of turntables in the United States for the year to February. According to newsday.com ITE beat out Kentucky-based Crosley to become market leader by dollar value of sales. At least Audio Technica and Sony, brands whose turntables we're happy to recommend, made the top five. ITE acquired the Victrola trademark in October 2015, and the company intends to have a sales and distribution presence in nine countries (including the UK) by the end of 2017. Victrola is a fabled U.S. brand, having been around since the Victor Company of New Jersey introduced the first of its Victrola Talking Machines in 1906. Sales of vinyl LPs reached 13 million in America last year, the eleventh consecutive year sales have increased.